Two conditions made Europe in the 1920s ready for the emergence of experimental film. First, the cinema matured as a medium, and highbrow resistance to the mass entertainment began to wane. Second, avant-garde movements in the visual arts flourished. The Dadaists and Surrealists in particular took to cinema. René Clair's Entr'acte took madcap comedy into nonsequitur, and artists Hans Richter, Jean Cocteau, Germaine Dulac and Viking Eggeling all contributed Surrealist shorts. The most famous experimental film is generally considered to be Luis Buñuel and Salvador Dalí's Un Chien Andalou. Working in France, another group of filmmakers also financed films through patronage and distributed them through cine-clubs, yet they were narrative films not tied to an avant-garde school. Film scholar David Bordwell has dubbed these French Impressionists, and included Abel Gance, Jean Epstein, and Dimitri Kirsanov. These films combines narrative experimentation, rhytmic editing and camerawork, and an emphasis on character subjectivity. The Soviet filmmakers, too, found a counterpart to modernist painting and photography in their theories of montage. The films of Dziga Vertov, Sergei Eisenstein, Alexander Dovzhenko and Vsevolod Pudovkin were instrumental in providing an alternate model from that offered by classical Hollywood. While not experimental films per se, they contributed to the film language of the avant-garde. The history of film reveals that its avant-garde begins in Europe and Russia in the 1920s and 1930s. By the 1940s it arrives in America, mostly in the suitcases of artists escaping the World War Two fiasco across the ocean. By the 1950s the American avant-garde film field is emerging and by the 1960s it has coalesced into something called the New American Cinema. By 1974 the American avant-garde film is sufficiently ripe so that it's first history can be written. Much of the credit for the promotion of the work of the American avant-garde filmmakers must go to Jonas Mekas who stands as its chief chronicler and journalist. In 1955 Mekas founded Film Culture magazine which became the primary publicity organ for the American avant-garde film movement. By 1958 his "Movie Journal" column was a regular feature in the Village Voice weekly newspaper. In 1960 he created the Independent Film Award to recognize outstanding accomplishment in the independent film arena. In 1962 he organized the Film-Makers Cooperative which provided an alternative method of film distribution. Mekas regularly set up screenings of experimental films through the Film-Makers Showcase programs which later became the Film-Makers Cinematheque. In 1970 he was directly involved in the creation of the Anthology Film Archives which supported the preservation and frequent screening of selected "Essential" examples of film art. Mekas was a tireless polemicist and promoter of the New American Cinema as he called it. In 1968, thanks to the foresight of Jerome Hill, a film-maker and a visionary philanthropist, there arose an occasion to create in New York a film museum dedicated exclusively to film as an art. Lengthy discussions took place to determine the purposes and functions of the new museum. It was decided that one of its main functions would be to serve as a continuous critical tool in the investigation of the essential works created in cinema. Therefore it was decided to create what became known as the Essential Cinema Repertory collection. A special Film Selection Committee was created to begin to compile such a repertory. The understanding was that the Committee would constitute a permanent part of Anthology Film Archives and it would continue into the future reviewing old and new cinema works, in all their different manifestations, and keep adding and expanding the Essential Cinema Repertory collection. To view a film is to see another's seeing mediated by the technology and techniques of the camera. By manipulating the cinematic apparatus in unorthodox ways, avant-garde filmmakers challenge the standardized versions of seeing perpetuated by the dominant film industry and generate ways of seeing that are truer to actual human vision. Beginning with the proposition that the images of cinema and vision derive from the same basic elementslight, movement, and timeWees argues that cinematic apparatus and human visual apparatus have significant properties in common. For that reason they can be brought into a dynamic, creative relationship which the author calls the dialectic of eye and camera. The consequences of this relationship are what Wees explores. 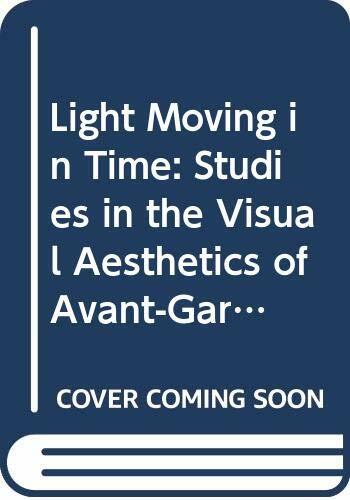 Although previous studies have recognized the visual bias of avant-garde film, this is the first to place the visual aesthetics of avant-garde film in a long- standing, multidisciplinary discourse on vision, visuality, and art. 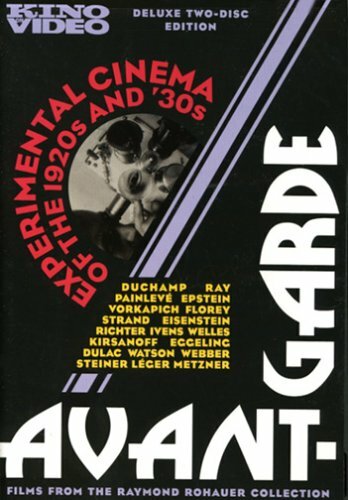 This title examines the variety of concerns and practices in the long history of avant-garde film. It covers the development of experimental film-making since the modernist explosion in 1920s Europe through to the Soviet film experiments, American underground and French new wave. 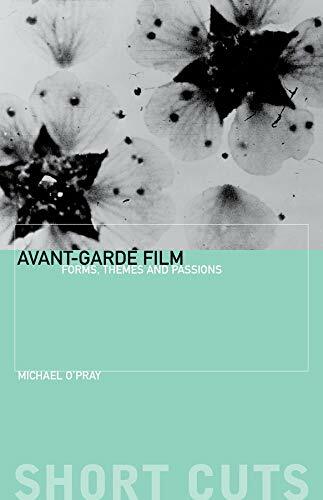 Avant-Garde Film: Forms, Themes and Passions examines the variety of concerns and practices that have comprised the long history of avant-garde film at a level appropriate for undergraduate study. It covers the developments of experimental film-making since the modernist explosion in the 1920s in Europe through to the Soviet film experiments, the American Underground cinema and the French New Wave, structuralism and contemporary gallery work of the young British artists. Through in-depth case-studies, the book introduces students not only to the history of the avant-garde but also to varied analytical approaches to the films themselves - ranging from abstraction (Richter, Ruttmann) to surreal visions (Bunuel, Wyn Evans), underground subversion (Jack Smith, Warhol) to experimental narrative (Deren and Antonioni). In the latter half of the 20th century, Raymond Rohauer was one of the nation's foremost proponents of experimental cinema. Programming diverse films at the Coronet Theatre in Los Angeles, and making the films in his personal archive available for commercial distribution, he helped preserve and promote avant-garde cinema. This two-DVD collection assembles some of the most influential and eclectic short films in the Rohauer Collection, including works by Man Ray, Hans Richter, Marcel Duchamp, Watson & Webber, Fernand Leger, Joris Ivens, Dimitri Kirsanoff, Jean Epstein, and Orson Welles.